Artificial intelligence (AI) has made great inroads in every major industry, including advertising, healthcare, finance, education, legal, transportation and now penetrating the workplace. However, although there has been much talk on how the workplace will be transformed by artificial intelligence, the effects have taken time to reveal themselves. Many people may have encountered artificial intelligence, such as through chatbot in social media, which is an automated but yet personalized software and human users’ conversation. However, the magnitude of the impending change in the workplace is now becoming apparent. With the great computers’ ability to learn to perform a particular task rather than be programmed, the automation will put a wide variety of complex functions within its reach. Consequently, it is predicted that machines will assume many routine jobs in workplaces that are now performed by humans while leaving only complicated tasks that require reasoning and interpersonal skills to skilled workers. Just like some advancing technologies, artificial intelligence promises safety, productivity, and health, but these will come at a cost. The introduction of artificial intelligence will lead to large-scale economic disruptions, such as loss of jobs. Therefore, although the use of Artificial Intelligence is not yet commonplace in the workplace, it is likely to affect every industry in numerous ways. Let us first look at the ways business making use of Artificial Intelligence in the workplace. There is a rapid increase in the sheer volume of the data that is possible to collect from IoT devices and cheap sensors, although analytics is not a new thing. Applying machine-learning technique to analyze this data is a smart decision as it can pay dividends. Moreover, using IoT data to make predictions is an approach that has applications in many industries, including predictive maintenance of oil pipelines, elevators, railway tracks, and plane engines. It is also used in improving harvests through automated crop-tending systems adjustments. The prospect of automated chatbots is increasingly becoming a reality as machine-trained systems acquire the potential to understand speech as well as a bit of a given language. However, these systems are limited to straightforward question-and-answer cases for now. Retails are doing experiments on the use of such bots as a way to help staff in responding to questions in the customer queries section. For instance, telco Provider Three and Consultancy Redant worked jointly to develop a “provider for multi-channel sales” that is based on an IBM Watson. The provider is designed to offer an answer to both text-based and spoken natural language queries. This is based on the analysis of product details, social media posts, customer reviews and thousands of documents. Likewise, Dixons Carphone (the UK electronics retailer) created a conversational bot (Known as Cami) using Microsoft Cognitive Services and Microsoft Bot Framework. The Bot is used by the company to answer questions through its Facebook Messenger and Curry brand website. Therefore, it helps staff and customers check stock and find products. Google has also demonstrated chatbots’ potential recently with their Duplex system demo. Duplex system ability demos were done in many businesses, including booking an appointment, restaurant and hairdressing. The trial found that Duplex behaved and sounded like a human, which made many people seem not to notice that they were not speaking to a person. Finally, other bots are business-oriented and focus more on enterprise. For example, SAP (software giant) has developed SAP CoPilot, which is digital assistant software that specially designed with the ability to respond to business-specific questions. The SAP CoPilot helps with collaboration between colleagues and drafting purchasing contracts. Some of these abilities lie between the potential of bots limited to responding to a particular topic and virtual assistants’ broader conversational skills. IPSoft’s Amelia is one of the perfect examples of virtual assistants that are business-focused and has the ability to serve a number of roles. Some of the functions that the virtual assistant can help include case researcher or support-desk agent and ingesting annotated documents after some time of human training. The use of Artificial Intelligence in the form of robots in the workplace is not a new thing. For decades, robots have been a fixture in car manufacturing plants and are now making their way into less predictable and repetitive tasks. Consequently, robots that have the ability to cope well in environments with a higher level of uncertainty are starting to emerge. This has broadened the tasks that they can perform and opening the possibility of them working with humans closely in a number of tasks. For instance, Amazon is leading the pack with the use of robots in improving efficiency in its warehouses. The company has deployed knee-high robots in the warehouses to help move shelves of products to human pickers for them to be selected and sent out. Machine vision is another area in the workplace where AI is being applied and could allow automation of some roles. These include functions that seemed too complicated in the past to be handled by a computer system. An excellent example of this is the Amazon Go, which is a grocery store that allows shoppers to choose what they want from the shop and work out with goods. The Amazon Go, applies a system that uses several cameras set throughout the store and controlled through an Amazon app to monitor what shoppers pick from the shop. Besides, the use of machine vision also makes the operation of cashierless retails stores possible. The technology is also likely to be adopted in helping robots inspect infrastructure, prepare food in restaurants as well as help them pick goods in the warehouse shelves. Artificial intelligence is applied in many areas in the workplace to help reduce chances of error and improve accuracy with high precision. This enables them to perform several tasks with greater precision, which enhances productivity. Artificial Intelligence is used in the workplace to aid in the management and organization of data, especially in banking institutions and other financial institutions. It is also used to detect fraud in systems based on a smart card. Machine intelligence can be used in carrying out repetitive jobs, which helps relieve workers the monotony associated with such occupations. It is also suitable for carrying out tasks that pose dangers to humans. Besides, machines can also multi-task as they “think” faster as compared to human beings. Most of the highly organizations are now using “avatars,” which can act as digital assistants. These Artificial virtual assistants can interact with the users, thus eliminating the need for people to work in human resource. Unlike humans, machines have the ability to perform a given task without breaks and refreshments. Machines are specially programmed to work for long hours without getting distracted, tired or bored. Machine intelligence can help in performing several tasks, including designing and creating things, but they do not have the originality of creative mind like humans. Besides, humans also have emotional intelligence and are highly sensitive, unlike machines. The creation, repair, and maintenance of artificial intelligence require relatively high amounts of money, as they are complex systems. Besides, in case of a major breakdown, the process of reinstating the system and recovering the lost codes can be time-consuming and costly. 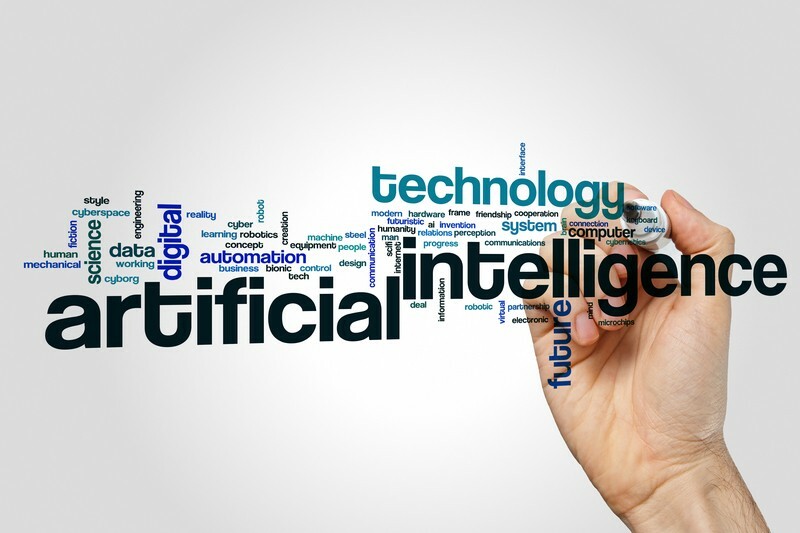 Artificial intelligence also involves the use of software programs that require frequent upgrading to suit the requirements of the changing environments. Unemployment is the primary concern for many people when it comes to the use of artificial intelligence in the workplace. The use of machines in workplaces can lead to a high rate of unemployment, which makes AI a threat to humankind. Machines perform better, faster and more accurately than humans do, but they do not improve their performance with experience. Besides, devices do not change their responses according to the changing environments. Artificial intelligence can help in performing some of the tasks in the workplace, but it cannot entirely replace human knowledge. Machines perform what they are programmed to do, and thus they cannot make a judgment on what is right or wrong. How Artificial Intelligence May Affect Individual Workers in the Workplace in the Future? Well, just like other technological advancements, artificial intelligence will lead to increased productivity of goods and services. 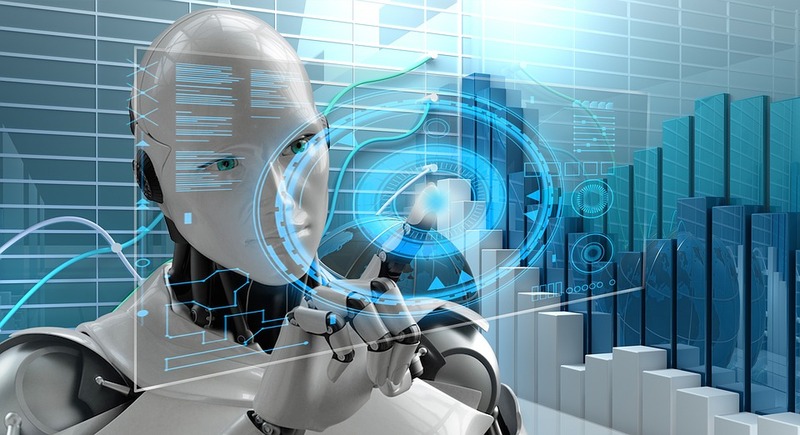 With the new technology development, machines will now be programmed to carry out a wide variety of non-repetitive cognitive tasks while advanced robots can be used in performing manual tasks. Apart from increasing productivity, the use of AI will benefit the society lowering the cost in the workplace. However, artificial intelligence will adversely affect many individual workers. Studies show that machines will disrupt how people work and replace workers in the near future. In other fields like medicine and education, devices will assume a number of tasks and perform them in close coordination while skilled humans carry out the rest of the duties. Can machines and humans work together for higher productivity and efficiency? For now, the ultimate impact of artificial intelligence in the workplace is less specific although there have been isolated cases of robotics and automation replacing humans in performing a variety of tasks. Some people anticipate that AI will come with a myriad of benefits as it will augment the abilities of the workers, but others are afraid that it may lead to job disruptions. For instance, self-driving vehicles are likely to replace millions of truck drivers in most workplaces. However, it is possible for machines and humans to work together for higher productivity and also ensuring efficiency in performing tasks. One of the areas where the two work together correctly is in medical diagnosis. Usually, a diagnosis involves determining how information on a given patient relates to a pattern characteristic of a particular disease, which can machines handle perfectly. Moreover, machines that are programmed to handle digital records and the results of millions of patients help in giving recommendations for further tests or treatment. The primary task of the doctor will now be conveying and interpreting the outcome of the diagnosis to the patient. Several studies in many fields have shown that the best results will be achieved when humans have the support of intelligent machines. Therefore, advanced devices could combine with humans in the future to perform computational work in the workplace while leaving other duties to individual workers. Will Artificial Intelligence (Automation) Take Well-paying “Cognitive” Jobs? As mentioned earlier, machines are likely to disrupt many well-paying “cognitive” occupations, perhaps more than the ones lost due to globalization. Some of the vulnerable well-paying occupations include radiologists, tax preparers, insurance adjusters, loan underwriters, financial analysts, translators, paralegals as well as some software engineers and journalists. Overall, the use of Artificial Intelligence in the workplace is slowly becoming a reality. Just like other technological advancements, the new development comes with a number of benefits, but it has also caused some concerns. One of the major concerns is unemployment and job disruptions. However, these concerns can potentially be addressed by looking for ways that will enable humans to work together with the existing skilled workers for greater efficiency. It is also important for individual workers to be enlightened on how AI can affect them in the future. This will enable them to prepare and fit in the impending change in the workplace environment. The society should also devise ways to protect individual workers best.